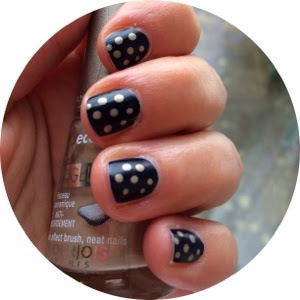 Another Essie After School Boy Blazer NOTD for you here following on from last week's post, this time I've paired it with Bourjois Ghost Lovers nail polish for a polka dot mani, which as you've probably guessed from this and this - these are my favourite kind of mani. I love these two colours together, I think the navy and the gold go really well together and look nice and classy. I also love that this is just one coat of After School Boy Blazer which makes it nice and quick but with quite a high impact. I also put this together after I chipped one of my nails hitting a door (CLEVER!) so it's also a cover up which makes me even happier! 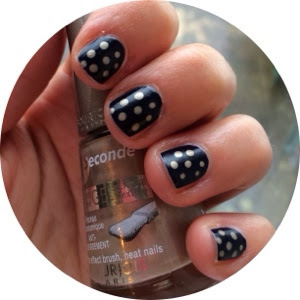 1 comment on "NOTD // Essie After School Boy Blazer & Bourjois Ghost Lovers"
So cute hun! Have a great week, xoxo.